Palisades Farm is located South of Wilmore, Kentucky on Highway 29 towards High Bridge. 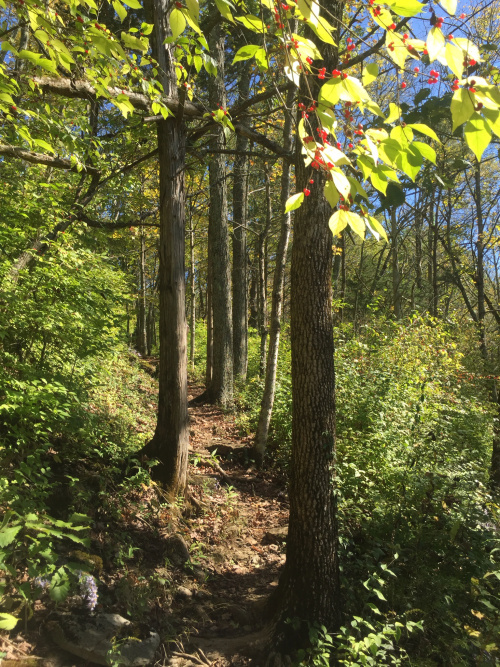 Hiking trails at Palisades Farm are available to students and the public. 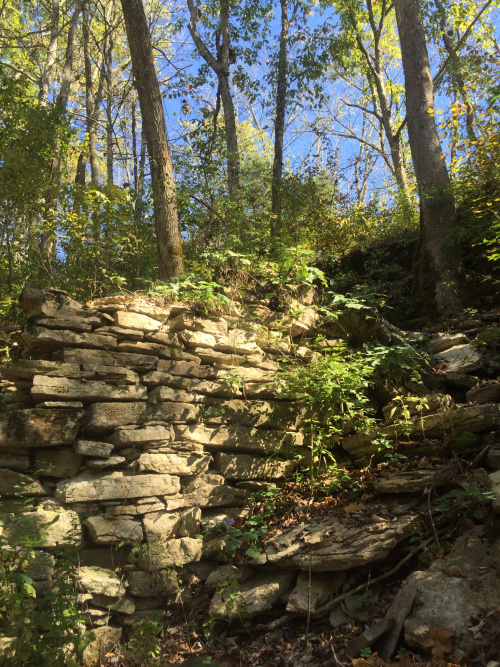 Geologic and ecological features along with historic sites are viewed among the trails. The gate is closed and locked at 8:00 PM daily (sunset from October to March)! This is a great post with wonderful photos! 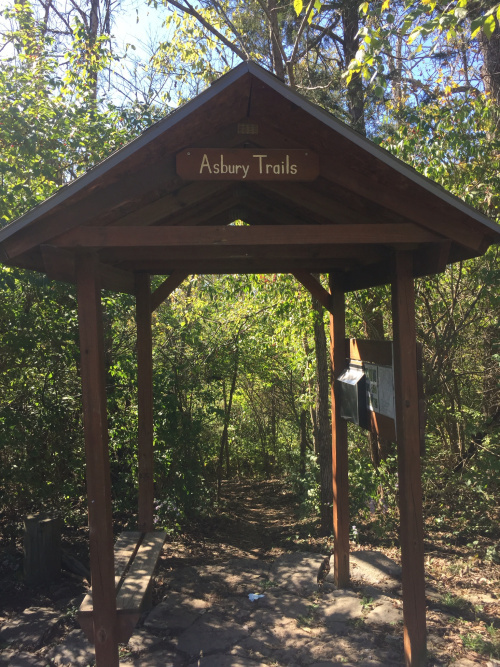 Asbury Trails in Wilmore, Kentucky, is open to the public for hiking. The trailhead is at a parking lot on the way to Asbury University’s Challenge Course. 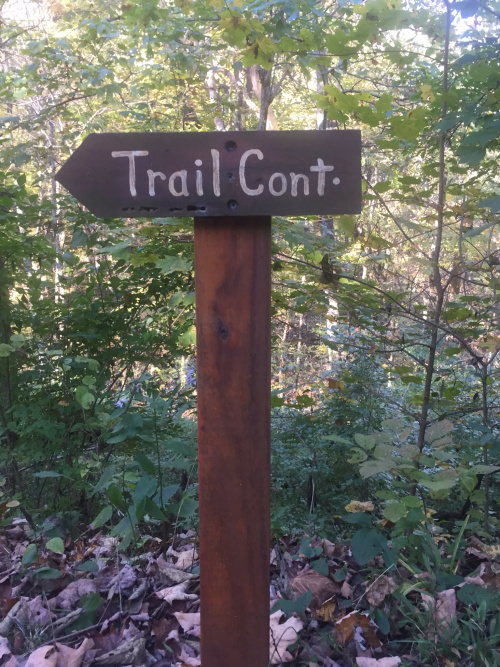 I didn’t know there were trails here until recently, and I think it’s one of the best places to go in the area for a short hike. The area is known as The Palisades Farm. 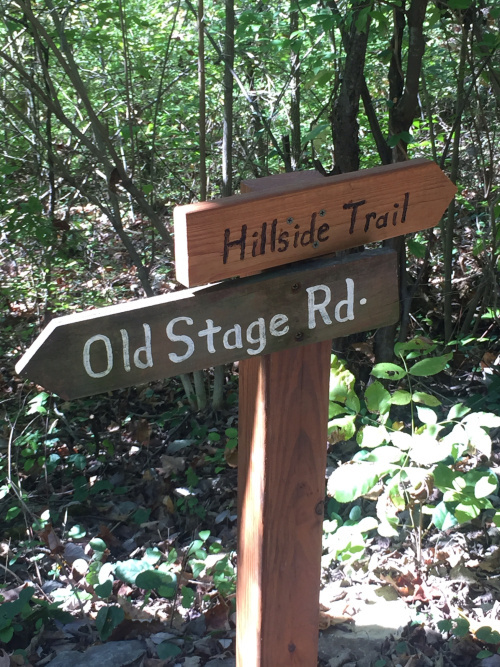 The first trail I hiked was the Hillside Trail. It’s name describes the hike. 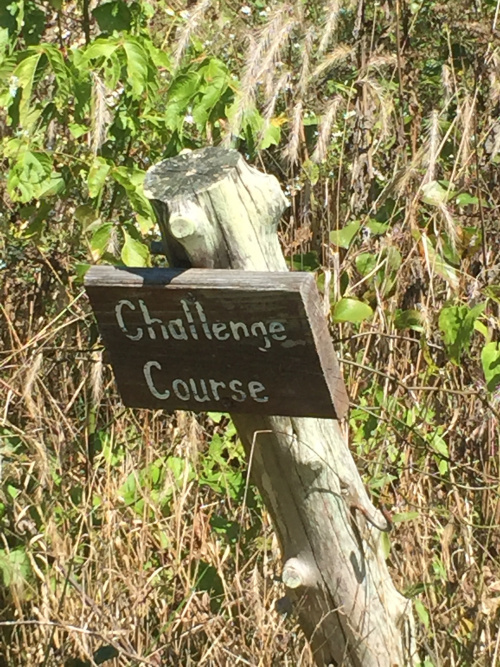 You head uphill through woods, across a ravine, and end up in a meadow. You can see the valley below while hiking this trail. You can hike back down the 1/2 mile trail or take the gravel service road back to the parking lot. The trail is a great hike. The area this time of year was beautiful! At the ravine, you’ll cross over and head uphill to a meadow area. 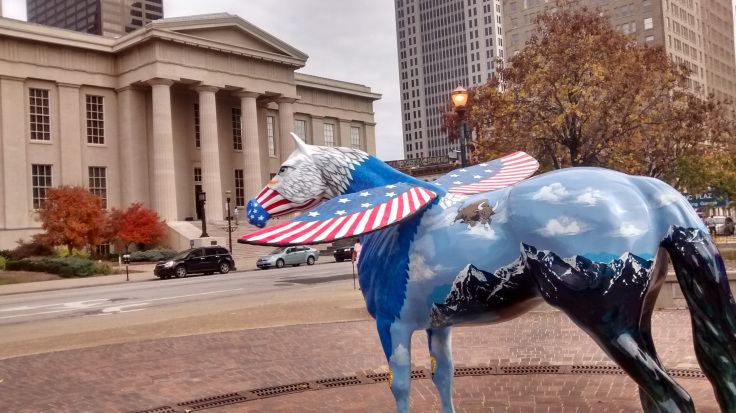 A great tour with some beautiful photos of downtown Louisville, Kentucky. What do you think of when you think of Kentucky? 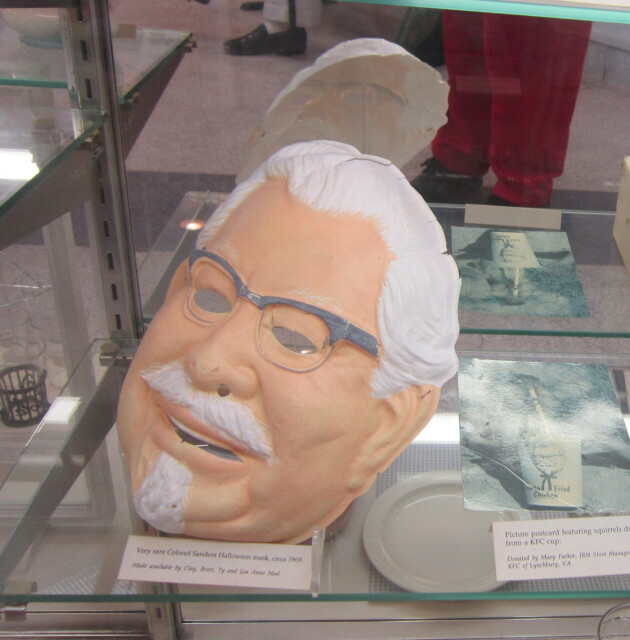 For me it’s fried chicken (Hello KFC), but apparently it’s also famous for bourbon, horse racing, and baseball bats and even though it’s November and definitely not tourist season, there was lots to see that kept things exciting. There is a lot of beautiful old buildings around town. I daresay I’ve seen about as many old Victorian buildings and architectural eyecandy as I did in Chicago. The beautiful fall weather just meant that I was able to wander around these rich neighbourhoods at ease. This is one of my favourite houses – full of pumpkins for Halloween. How many can you count? Their public library is just jaw dropping. I half expected it to be filled with Latin books. 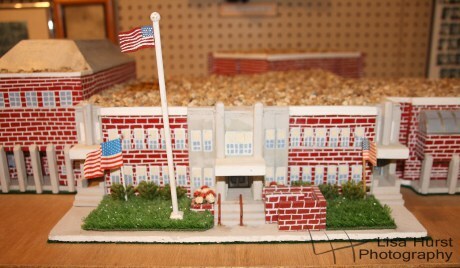 The inside isn’t as spectacular as the outside, but it’s a pretty high bar to beat! The Cynthiana Museum in Harrison County, Kentucky is an interesting way to spend an afternoon! A great place to spend a Friday or Saturday afternoon is the Cynthiana-Harrison County Museum, right in my hometown. I am proud to say that I played a very small part in making this museum happen when I was a reporter/photographer for the local newspaper years ago. I remember many interviews and photos of the blossoming project. I decided to share the museum with my sister, who was visiting from out-of-town. 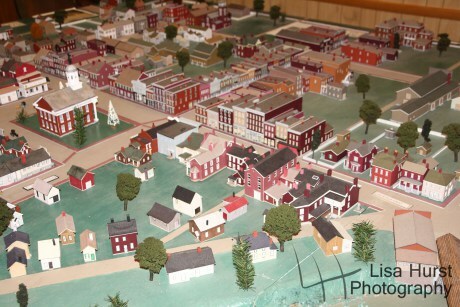 The photo above is of a matte-board replica of Cynthiana around 1900. The craftmanship of this model is spectacular. 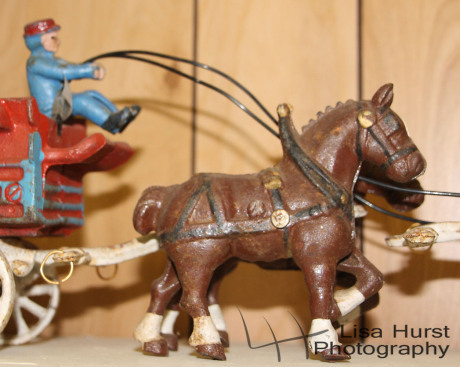 There are so many great things that have either been donated or loaned to the museum. The objects are from every era of the county. No tribute to the history of Harrison County would be complete without some tobacco, the crop that sustained this town for many years. 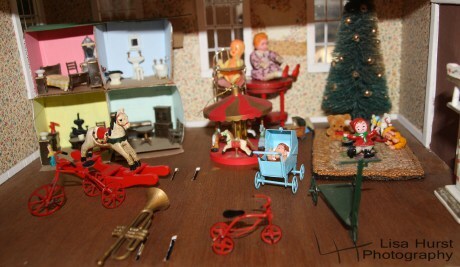 This dollhouse, which is visible from the street, is remarkable.